If your team shares resources across multiple projects, you need visibility into what projects each resource is assigned, or who is assigned to each project, maybe you want to set the resource's project-level resource type default or their role on the project. The Project Resource Report breaks down Project-level resource assignments across the entire portfolio. 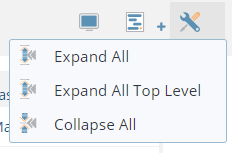 You can even enable inline editing to make changes without leaving the report. Quick Tip: This is also a way to add Resources to more than one project in bulk. Make sure "Enable Inline Editing" is checked in the page display options and then start typing their name into the Resource column. Add them to as many Projects as you need. Click the Create Project Resource Report button to get started.